Can a dog’s nose save a diabetic’s life? Man’s best friends are known to sniff out bombs, drugs and even bedbugs, but can they smell trouble for type 1 diabetics? 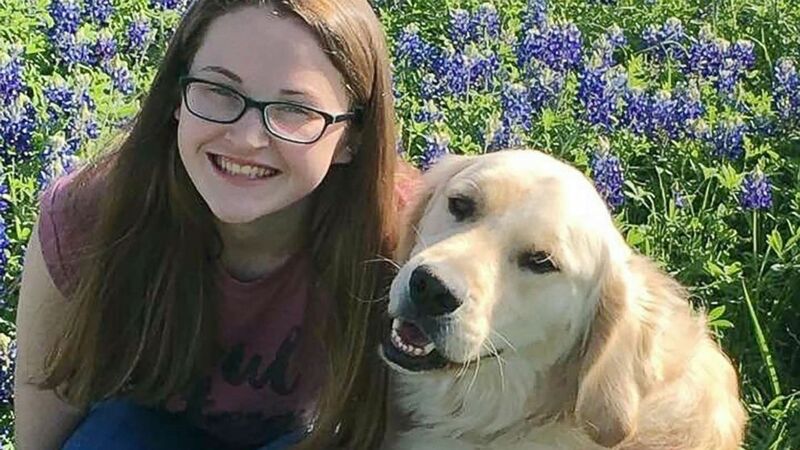 A new study done in the UK shows that the diabetic “alert” dogs were able to detect 70 percent of episodes of abnormal blood sugar, incidents which can be dangerous, even deadly, for type 1 diabetics. Dogs that are noted to have a better sense of smell (such as golden retrievers) than their counterparts are the ones chosen for training. They use this highly sensitive sense to sniff out changes in the blood that occur when blood sugar becomes too low or too high. Doctors know that when blood sugar becomes too high, for example, it causes a chemical reaction in the blood that creates a fruity or sweet odor on their breath. Doctors may not always be able to smell it but dogs can since their sense of smell is 40 times greater than ours. They can also pick up the scent from sweat and skin. The dogs are trained for months to years with positive reinforcement, so to the puppy it’s “play” with a reward for success. The training can then be personalized. For instance, saliva is collected when a diabetic’s blood sugar is nearing the lower range of normal. (Tina Westmoreland) Hannah Westmoreland is pictured with her service dog Journey. The dogs learn that particular scent and how to alert their humans. Typically, they tap their partners with a paw or nose, place their paws on the partner’s shoulders, or any other signal that the two decide on. This prompts the diabetic to check his or her blood sugar and do what’s needed to correct it before it becomes an emergency. The dog and the diabetic both must undergo weeks of training together so that they can work as a team. Why were the studies done in type 1 diabetics only? Type 2 diabetes is much more common; it’s the disorder that many acquire later in life that can be treated with diet, exercise, and medication. Type 1 diabetes is an autoimmune disorder that can occur at any time in life when a person’s immune system destroys beta cells in the pancreas that make insulin. Since people with type 1 diabetes can’t make the insulin they need to control their blood sugar, they have to inject themselves with insulin. That means they are more prone to large fluctuations in blood sugar. Extremely low or high blood sugar can have frightening symptoms: shaking, sweating, blurry vision, dizziness, seizures, and a fast heart rate. This is the body’s way of alerting the brain that something is wrong and the person needs to act quickly. Without immediate treatment the person will die. 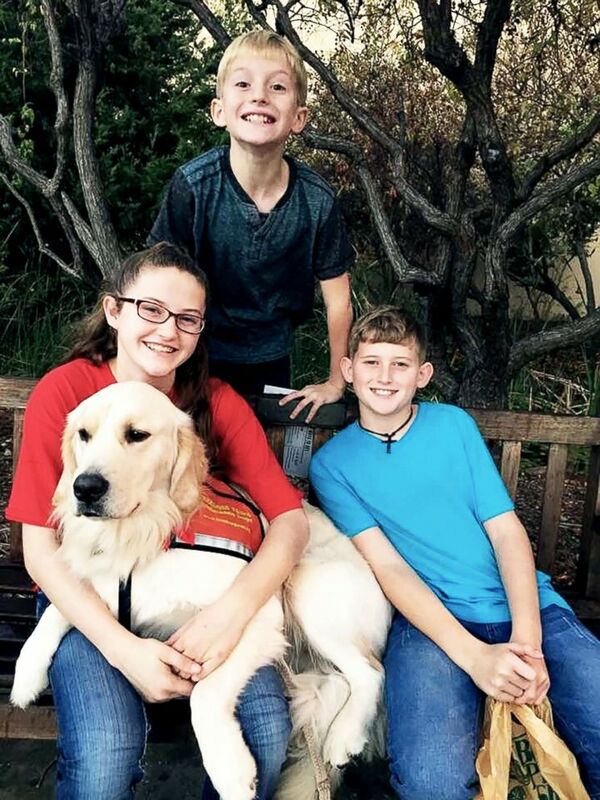 (Tina Westmoreland) Hannah Westmoreland (left) is pictured with two of her siblings and her service dog Journey. Some diabetics, however, do not have any symptoms. This “hypoglycemia unawareness” is even more dangerous. With no signal that the blood sugar is abnormal, they can’t know to take action. This is where the diabetic alert dog comes in. The process of training and pairing with a dog can be long and expensive. Some groups breed these service dogs (for a profit) and others train strays (at no charge). The cost from a not-for-profit can be inexpensive or even free, but the waiting list can be two to five years long. Otherwise, a trained dog can cost an average of $20,000. Medical insurance does not typically cover this cost. 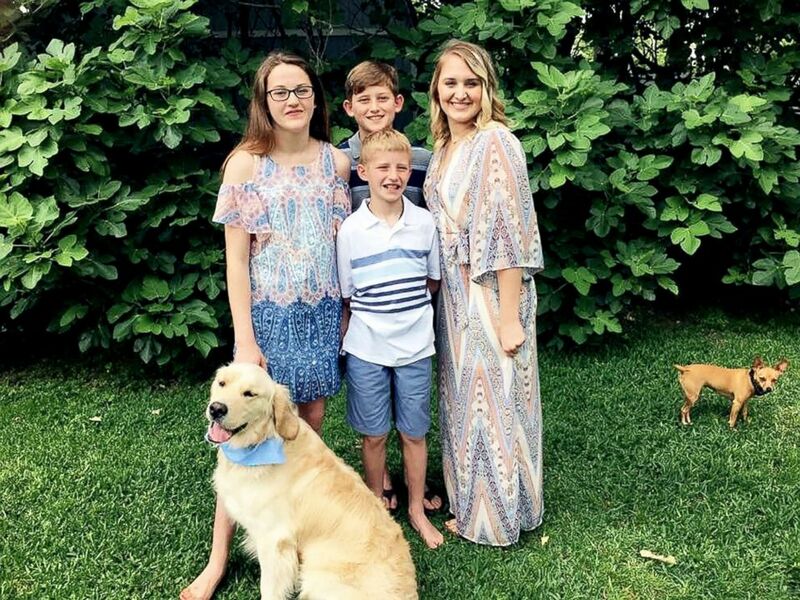 (Tina Westmoreland) Hannah Westmoreland (left) is pictured with her siblings and her service dog Journey. A service dog can be a wonderful asset to a type 1 diabetic’s life. Sniffing out a medical problem can’t replace regular blood sugar monitoring, but it’s a sweet and life-saving addition. Dr. Azka Afzal is a resident physician at the Baylor College of Medicine in Houston, TX and a member of the ABC News Medical Unit.